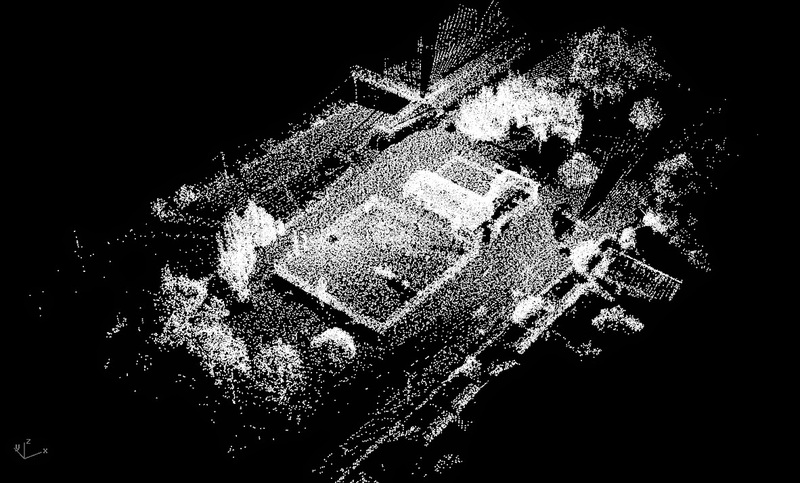 Above is our 'Field Model' of the VRI Hall and its immediate surroundings that we constructed from our LiDAR scans. 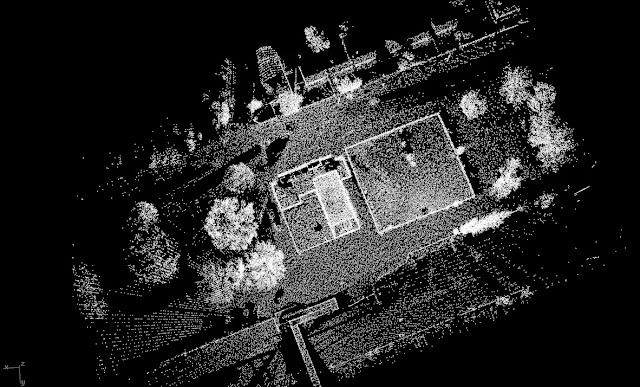 The terrestrial scanner owned by RMIT Universities School of Architecture and Design, was used to survey the site in readiness to prepare and finalise construction drawings for the future design transformations to the hall and its adjacent tennis court area, into a lively, inspired and creative learning and community space, and as a part of the Neighbourhood House in Traralgon. The model above is only a small part of the total point resolution that we gathered from 6 separate scans, and we thought that rather than post the raw scan point model (images below), or our surface reconstructed model, that it would be nice to experiment just a little.